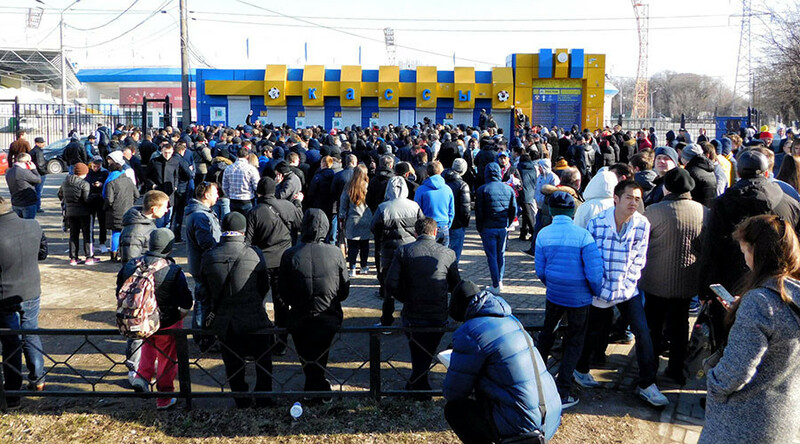 With the UEFA Europa League clash between Russia’s FC Rostov and English giants Manchester United just three days away, local fans desperate to be at the game began to gather at the stadium a night before tickets went on sale. The Russian club earlier canceled the online sale of tickets in order to “give local supporters a chance to see the game,” explaining that online sales would only serve to attract football fans from all over the country and limit the number of local supporters at the game. 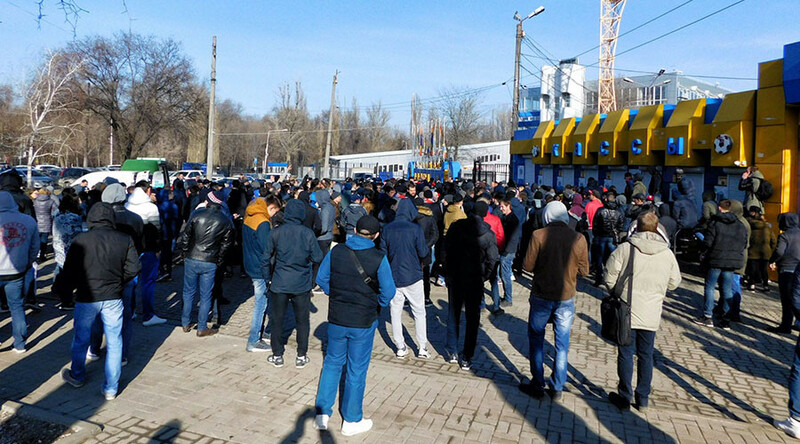 As a result, hundreds of fans looking to get tickets started to gather in front of Rostov’s Olymp-2 stadium the night before ticket sales officially began on March 6. Disgruntled fans pointed out that the sale of tickets in the stadium’s offices is not the kind of attitude they expect from their club. “Why are they doing this to us?” one fan told Russian outlet kp.ru. As the tickets are released in batches on a daily basis, massive groups of fans are constantly standing by the ticket offices. The first batch of tickets for season ticket holders went on sale at the stadium on March 4. That sale was also marked by indignation from the locals. FC Rostov, from the city of Rostov-on-Don in southern Russia, massively surprised football fans last season when, despite being the underdogs, they topped the Russian Premier League for large parts of the campaign. Rostov eventually fell short as CSKA Moscow won their last match of the season against Rubin Kazan 1-0, gaining the points needed to become champions. Rostov’s second-place finish did see them enter the Champions League, where they qualified for the group stages and faced Spanish giants Atletico Madrid, German titans Bayern Munich and Dutch side PSV Eindhoven. While they finished third in the group and failed to progress, Rostov earned impressed many, including by defeating Bayern 3-2 in Russia, and gained the right to play in the Europa League – where they will host Manchester United in the Round of 16 on March 9. The return match will be played at Old Trafford on March 16.